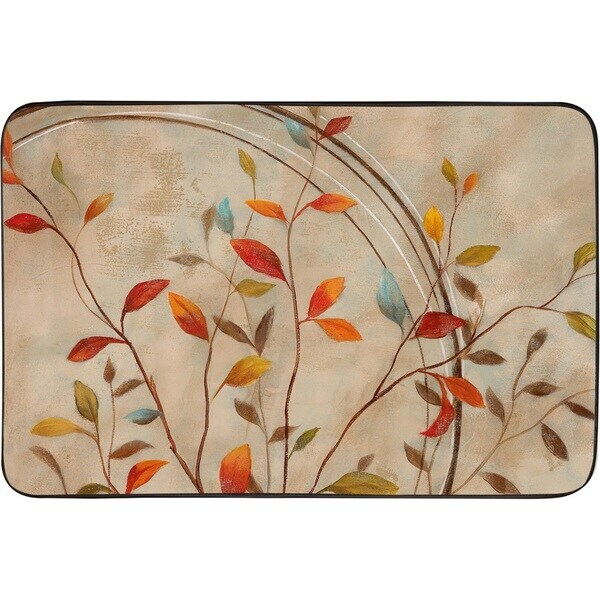 Brighten your kitchen with autumn colors with this anti-fatigue mat. Memory foam padding increases comfort when standing for long periods of time, and the stain-resistant PVC material makes it easy to wipe up water and spills. "Are there any kitchen hand towels (100% cotton) in this same pattern?"